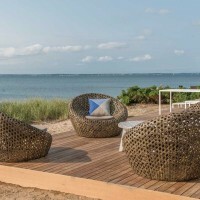 Naiztat + Ham Architects have recently completed a home in Southampton, New York. 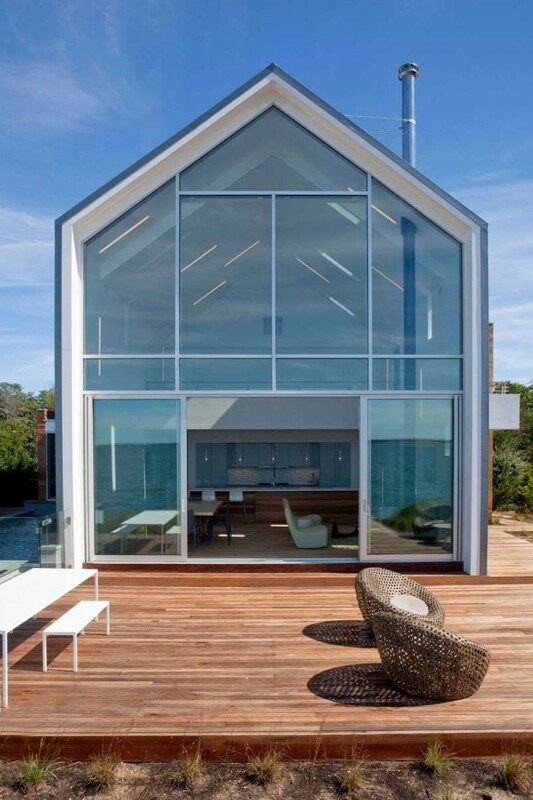 This 2500 square foot house located on Little Peconic Bay in North Sea, Southampton, New York, has sweeping views from every room. 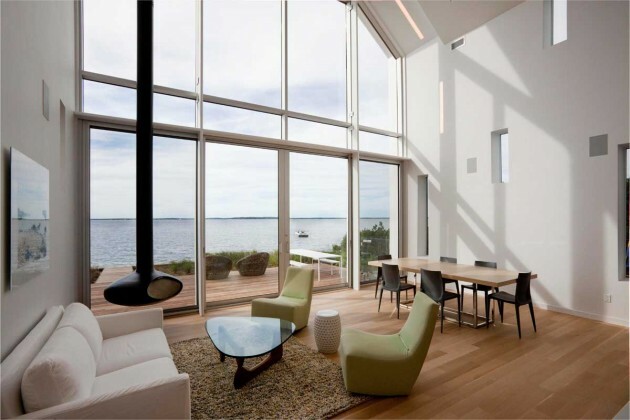 The curvature of the land and bay allow for varied beach and water views from every “skylight” and window. The standing seam metal peaked structure of the house was built on the foundations of the old one story cottage that previously stood on the property. It encompasses the public rooms in the house and allowed the footprint to be built closer to the water than current restrictions permit. The cedar extensions contain the private bedrooms and bathrooms. 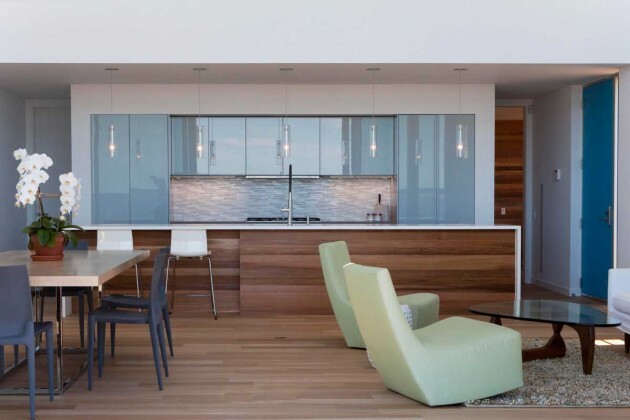 The cedar wall planes are both interior and exterior and are separated by the floor-to-ceiling metal and glass window and door system. 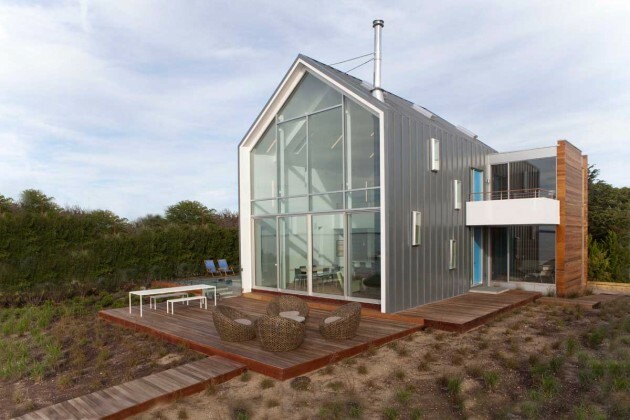 The standing seam metal extends up and over the peaked portion of the house with precisely positioned “randomly” placed skylights following the form. 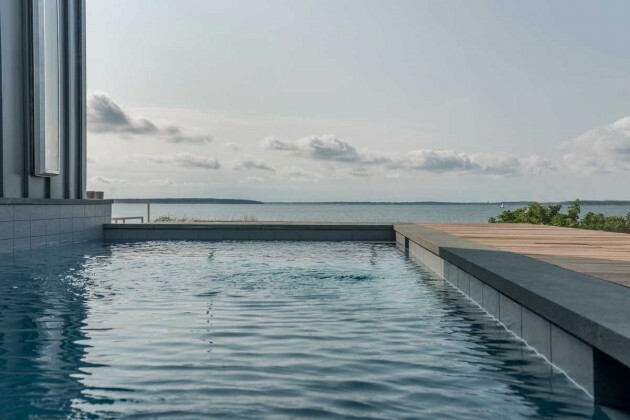 This beach house is unique in that it has a pool. Limited in land and set-backs, the pool sits snugly against the house and acts as a reflecting pool sitting right below the master bedroom floor-to-ceiling windows. 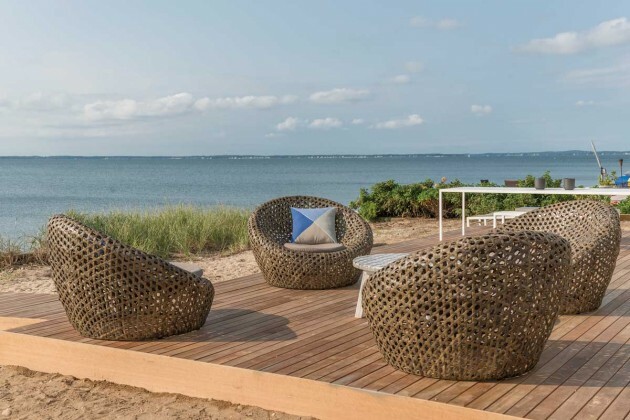 The double story living room space allows for open views of the North Fork, beautiful sunsets over Robin’s Island (a privately owned island separating Little Peconic Bay from Peconic Bay) and views of water all the way to Shelter Island. The house is presently for sale through Saunder’s Hampton Real Estate. Architect: Naiztat + Ham Architects, P.C.